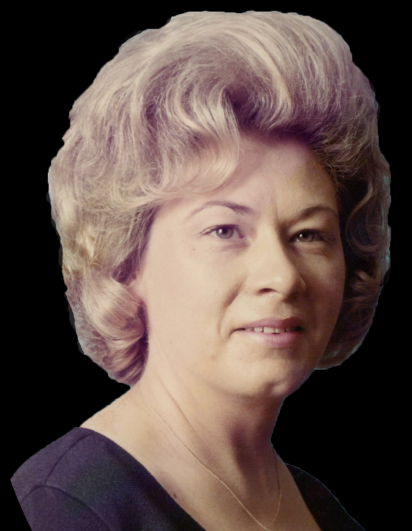 Zelda Fender Ledford, age 81, of Marion, passed away Monday, February 11, 2019 at Mountain Ridge Wellness Center in Black Mountain following several years of declining health. Zelda was a lifelong resident of McDowell County, born on November 23, 1937, one of three children born to the late Bernie Lee Fender, Sr. and Esta Lena Huffman Fender. Two sons, Gary Dean Harklerode and Michael Andrew Harklerode, also preceded her in death. She was formerly employed at Baxter Healthcare as a Lab Technician. Zelda attended Hillcrest Free Will Baptist Church. She was a talented pianist and singer and also wrote beautiful poetry. Zelda loved her grandchildren and great-grandchildren very much and her family and friends will miss her. Surviving are her sister, Wilma Jean Fender of Marion; two grandchildren Christina Leigh Harklerode and Justin Ryan Harklerode; five great-grandchildren, Cayden, Makenzie, Shaylin, Ava, and Legend; and her daughter-in-law, Cindy Harklerode Jones of Nebo. A funeral service will take place on Thursday, February 14, 2018 at 2:00 p.m. in the chapel of Westmoreland Funeral Home in Marion with Rev. Doug Worley officiating. The family will receive friends from 1:00 – 2:00 p.m. prior to the service at the funeral home. Burial will follow in the Hillcrest Free Will Baptist Church Cemetery. Memorials may be made to the Meals on Wheels Program administered by the McDowell County Senior Center. The address is 100 Spaulding Road, Marion, NC 28752.